Anderson, Joseph, and Donald Richie, The Japanese Film: Art and Industry, New York, 1960; revised edition, Princeton, 1982. Ve-Ho, Kenji Mizoguchi, Paris, 1963. Mesnil, Michel, Kenji Mizoguchi, Paris, 1965. Tessier, Max, Kenji Mizoguchi, Paris, 1971. Burch, Noël, To the Distant Observer: Form and Meaning in the Japanese Cinema, Berkeley, 1979. Freiberg, Freda, Women in Mizoguchi Films, Melbourne, 1981. Andrew, Dudley, Kenji Mizoguchi: A Guide to References and Resources, Boston, 1982. Serceau, Daniel, Mizoguchi: De la révolte aux songes, Paris, 1983. Andrew, Dudley, Film in the Aura of Art, Princeton, 1984. McDonald, Keiko, Mizoguchi, Boston, 1984. Kirihara, Donald, Patterns of Time: Mizoguchi and the 1930s, Madison, 1992. O'Grady, Gerald, editor, Mizoguchi the Master, Ontario, 1996. Tomasi, Dario, Kenji Mizoguchi, Milan, 1998. ''Mizoguchi Issue'' of Cinéma (Paris), no. 6, 1955. Richie, Donald, and Joseph Anderson, ''Kenji Mizoguchi,'' in Sight and Sound (London), Autumn 1955. ''Mizoguchi Issue'' of Ecran (Paris), February-March 1958. ''Mizoguchi Issue'' of Cahiers du Cinéma (Paris), March 1958. 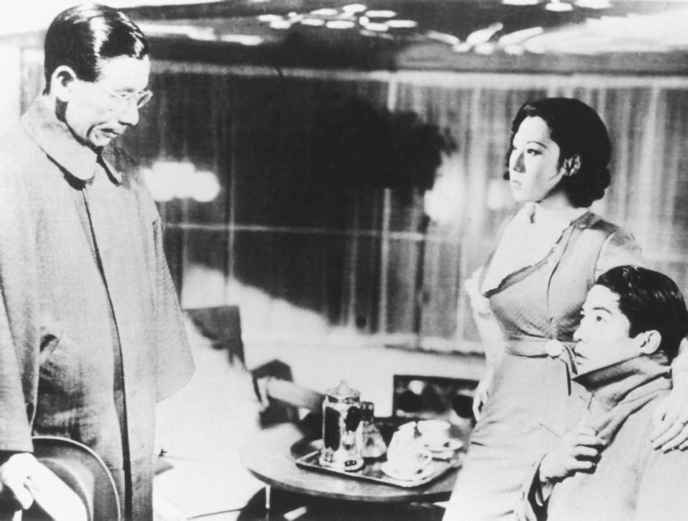 The term "feminist" has been applied to the films of Kenji Mizoguchi frequently and somewhat indiscriminately. The term can involve three rather different approaches: 1) films that explicitly confront and endorse the theories and values of the women's liberation movement; 2) films that analyze the ways in which women are oppressed within society; and 3) films in which the director appears to identify with, show special sympathy for, female characters. The interest in Mizoguchi's work is that it covers this entire spectrum of approaches. Only two of his films that have become accessible in the West (Victory of Women and My Love Has Been Burning) employ the first approach (both belong to the immediate aftermath of World War II and to the enforced ''democratization'' of Japan under the American occupation). The late films, especially, are examples of the third approach, and involve the constant risk of succumbing to traditional male-created myths of women, especially woman-as-redeemer, with the emphasis on female sacrifice. Osaka Elegy (as it is generally known in the West), like Sisters of Gion made later in the same year, is that of the second approach. Here the risk is that the films will become ''melodramas of defeat,'' reinforcing myths of woman-as-victim, with an emphasis on female masochism. As Noël Burch suggests, Osaka Elegy is stylistically torn between a capitulation to the codes of dominant cinema—Hollywood—and the repudiation of them marked so emphatically by Sisters of Gion. It is also torn, thematically and dramatically, between the female masochism of earlier Mizoguchi films (such as Taki No Shiraito, 1933) and the feminist protest to come—marvellously anticipated in the final shot, in which Ayako walks and stares straight into camera, with a look combining defiance with denunciation of the society (i.e., the film's contemporary audience) that has condemned her to prostitution. The film also has a dimension lacking in its successors: an analysis of the oppression of women within the family, in the name of familial ''loyalty'' and ''duty''—the duty of the daughter to serve, unquestioningly, father and brother.